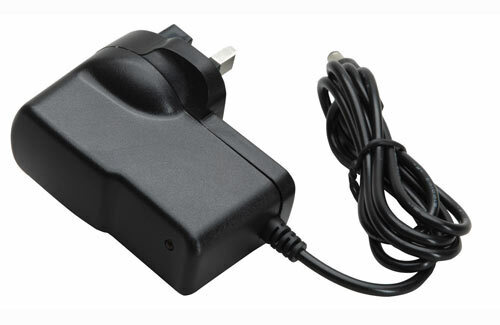 A specifically designed, mains power supply to suit the Hex charger. It provides sufficient power to operate the Hex at its maximum capability. This version has the UK mains pins moulded into it. This 13.8v power supply is a high quality switch mode unit with a very smooth output. 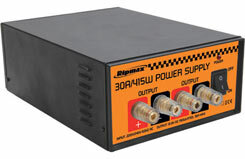 20 Amp maximum output makes it suitable for use with almost all 12v input chargers, including high performance units. 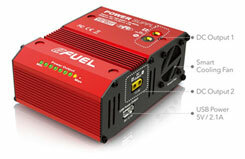 Features efficient switch mode technology that reduces size and weight of the power supply. The Ripmax 13.8v power supply is a high quality switch mode power supply with a particularly smooth output current, making it suitable for use with almost all 12v input chargers available today. Using switch mode technology gives greater efficiency and reduces the weight and size of the power supply compared to older units. The maximum 20 Amp output allows fast charging of even high voltage battery packs. • Output connections: 4mm Banana/Clamp type. 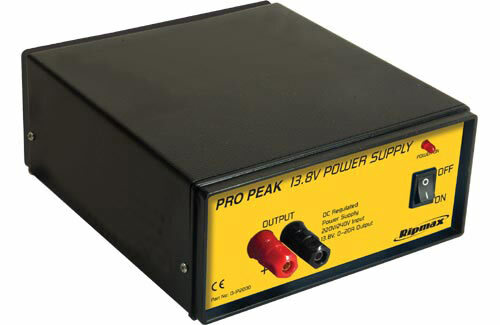 This new ProPeak dual-output, 13.8v, 200W, power supply is a high quality switch mode unit with a particularly smooth output current, making it suitable for use with almost all DC input chargers available today, even those that are sensitive in voltage. 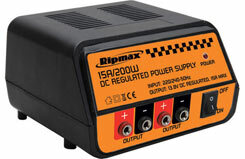 Most 12v nominal input chargers, such as those in the Ripmax range, are more than able to cope with the 13.8v DC output. 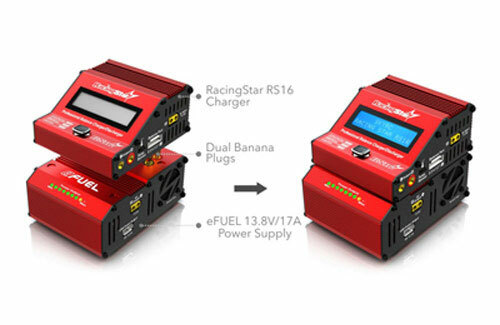 The dual 4mm outputs allow easy connection of two units such as chargers, tyre warmers or battery warmers etc, to take advantage of the maximum current of 15 Amps/200W supplied. The case is moulded from tough plastic and therefore naturally insulated. 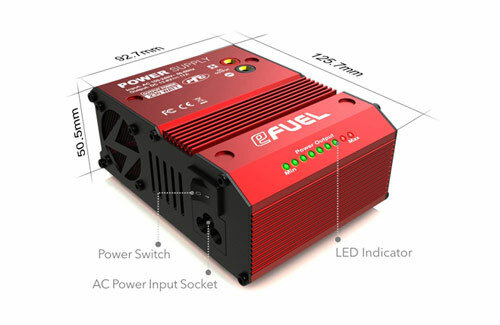 The flexible, ProPeak dual-output, 13.8v, 415W power supply is a high quality switch mode power supply with a smooth output current, making it suitable for use with almost all DC input chargers on the market. The dual, 4mm outputs also have screw-clamp outputs, allowing flexibility in the way that external units like chargers are connected. 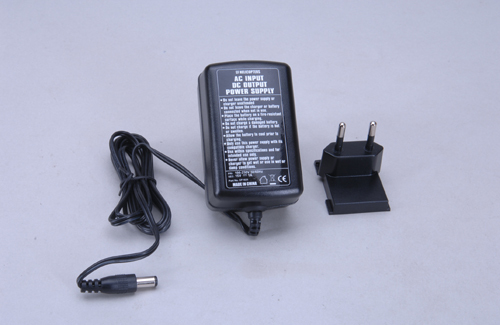 With a useful 30A and 415W of power output, this power supply can be used as a stable source of DC output that is suitable for chargers or even testing smaller motors when the ESC is direct connected. By having a stable current, it is easier to understand motor performance when varying propellers etc.